This post is in partnership with United Artists Releasing. All opinions are 100% my own. 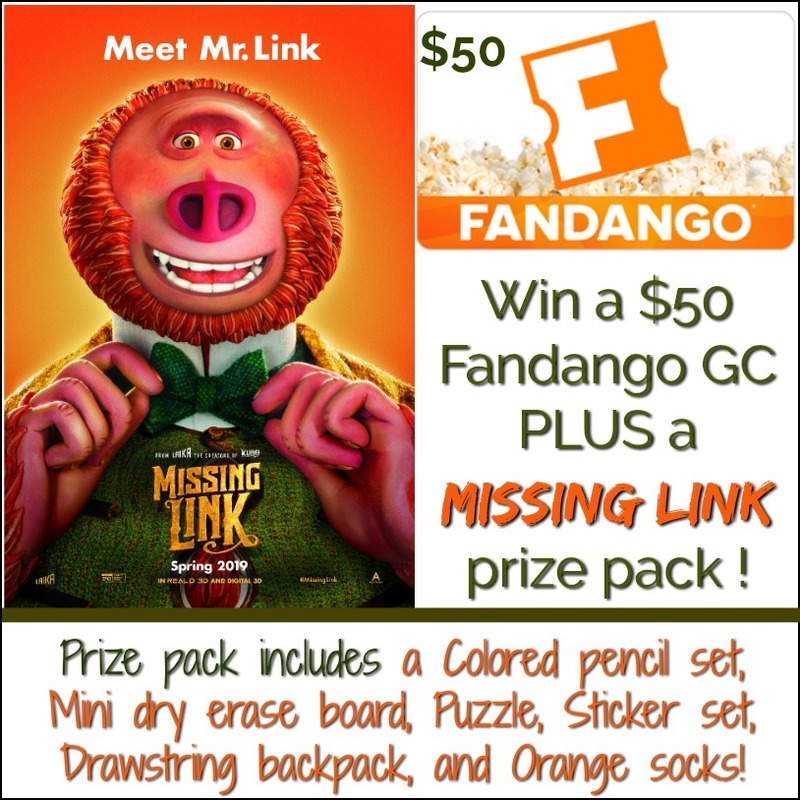 One (1) winner receives a $50 Fandango gift card to see the film in theaters – PLUS a Missing Link prize pack including a Colored pencil set, Mini dry erase board, Puzzle, Sticker set, Drawstring backpack, and Orange socks!